Marketers and Social Media Managers will all tell you the challenges of engaging their fans on Facebook. 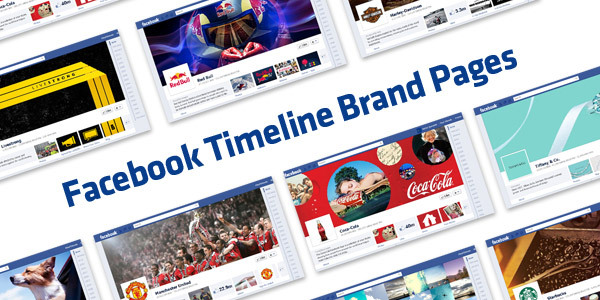 People on Facebook today are bombarded with brand promotions, company product updates, contests, and paid advertising. It can be easy to lose your brand’s messaging in all the noise. The one critical piece of information that many marketers fail to understand is that Facebook is a place where people go to engage and stay up to date with their friends. If you can position your brand as a “friend” and a member of their community, the results on your brand page can be tremendous. Here are 4 ways to show your fans that you are a member of their community and drive more engagement. 1. Be Relevant: If someone has liked your page, they are obviously interested in your brand and want to be kept up to date with your product or service, often times this isn’t enough. A great way to continue building the engagement is to post relevant content that relates to topical issues. Post content relating to specific holidays, days of the week, or current events. If your product is B2B, post a happy Friday picture meme on Friday morning. Tap into the emotions of what your customers are feeling. Another great example is Hurricane Sandy. Many brands posted well wishes to the East Coast, telling everyone to stay safe, even posting information about where to get help if needed. Show your customers the emotion behind the brand and that you relate to the everyday things they care about too. 2. Create and Curate content they will want to share: This is your biggest asset to gaining new Likes. Study the demographics of your users to understand what they like and what they are passionate about, and then get creative. Do your customers love technology and hardware? Post photos of a new Apple product release and ask them who’s planning to purchase it. Get creative in Photoshop. Share videos, infographics, or links that have gone viral and your customers will be more likely to share them with their own Facebook network, promoting your brand, and generating new likes. 3. Host contests and promotions: Everyone likes to win. Contests and promotions are a fun way to build hype. If you have a paid service, offer to give away something away for free. If your service is free, give away tickets, a weekend getaway, a dinner, something that fits with your brand. Ask your users to answer questions, trivia, submit pictures or stories. Dropbox recently posted a genius contest asking users to submit their best stories for how they use Dropbox for a chance to win 100GB of storage for life. After the contest ended, they compiled the best stories into a video that included real interviews with some of their users and posted it on their blog. They shared the post on Facebook afterwards and received hundreds of likes and dozens of comments and shares. 4. The Human Touch: Fans love to see the people behind their favorite brands. Post pictures of your team at the office, at happy hour on Fridays, and out in the field at events. If you host an event yourself, post pictures of the guests and encourage them to tag themselves. Another great way to showcase the personal touch of your brand is to profile some of your customers and have a featured customer of the week. Highlight something that makes them awesome and write up a short blog post with pictures with quotes about why they love your product.